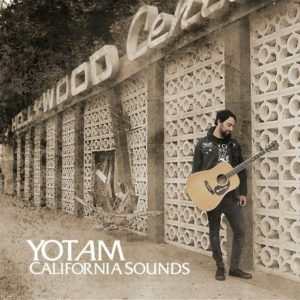 YOTAM (USELESS ID) “CALIFORNIA SOUNDS” – OUT NOW! Dropping everything you’re doing and starting from scratch is not an easy task especially when you’re in your mid 30’s. After celebrating a successful 20 years of existence show with punk band Useless ID (Fat Wreck Chords) to a hometown crowd in Israel it was time to take a break. Yotam set out to the States for some soul searching, the result: “California Sounds”. Yotam stopped by Bob Hoag’s Flying Blanket Studios (Built to Spill, Ataris) which consists of mostly analog gear and guitars from the 1950’s, armed with 10 brand new songs and going for a vibe where you enter a studio and leave a day later with an album done like in in the early years of Bob Dylan. All live with some overdubs here and there, the album was mixed the next day and mastered a month later by Jason Livermore at The Blasting Room while Yotam passed by through Colorado for a show. “The comfort zone is the enemy” adds Yotam. “California Sounds” is OUT NOW via Hardline Entertainment. Catch Yotam on tour in Europe and the US starting in November.